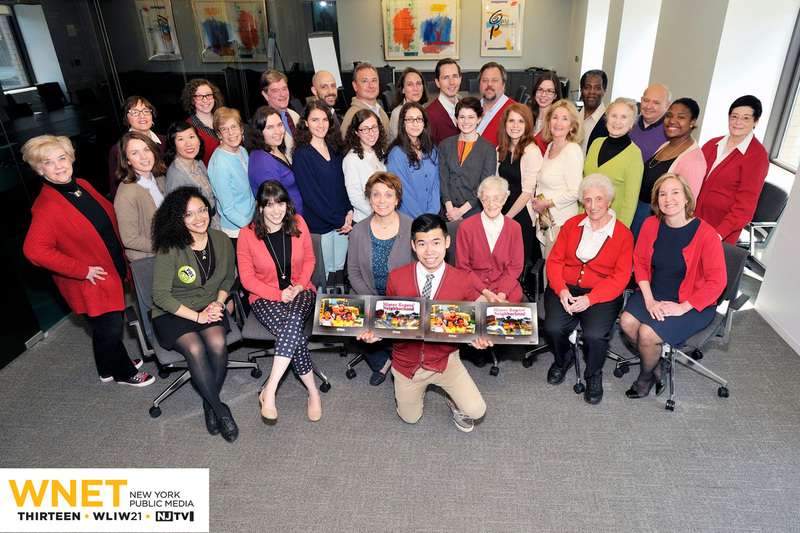 Did you or your station pose for a photograph honoring Mister Rogers and the 45th anniversary of his famous speech to the U.S. Senate after funding cuts were proposed? 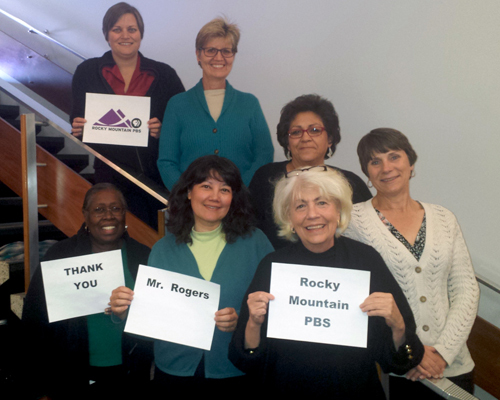 Not only was all public media funding restored after his speech, it helped increase future funding. 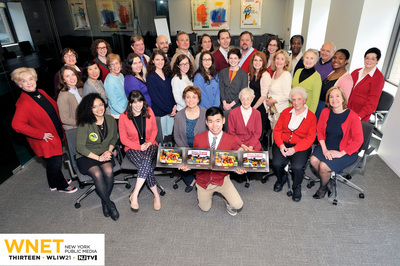 To honor Fred Rogers' lifelong support of public media on Thursday, May 1, 2014, Protect My Public Media honored him and asked others to participate by donning a Fred Rogers' style sweater or cardigan and snapping a photo of themselves to be posted on the PMPM website. If you have a Mister Rogers photograph that you took for Protect My Public Media and you'd like to share it with NFPB, please send to NFPB Webmaster with your name, station call letters, identification of people and other contact information. Your photograph might appear along with the ones below!! 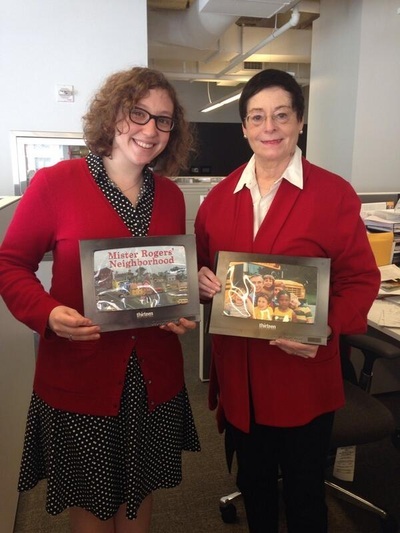 Click on the photos to see who celebrated Mister Rogers . . .